The polychaete community was studied monthly along the Alexandria coast during the period from October 2014 to October 2015. The results indicated the occurrence of 56 polychaetes species, including four species recorded for the first time in the study area, namely Kirkegaardia annulosua, Dipolydora armata, Neogyptis cf. mediterranea, and Notomastus profundus. The recorded species belong to 42 genera and 19 families, with the dominance of family Syllidae. The numerical density of polychaete individuals displayed wide variation on the spatial and temporal scales, fluctuating among the sampling sites between a minimum of 233±305 ind/m2 and a maximum of 3901±2597 ind/m2. A few species were responsible of the bulk of polychaete abundance. Comparing with the previous works, the present study revealed pronounced decrease in species richness and marked drop in the abundance of polychaete community along the Alexandria coast, mainly due tomarked decrease in the abundance of several dominant species during the past decade. 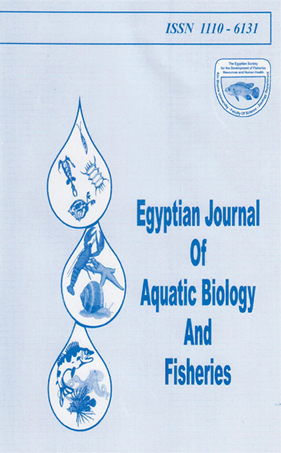 The changes in the community structure and abundance of polychaetes could be attributed to the engineering processes of the coastal road, variations in the topography of the coast line and modification of the sewer system of Alexandria City.